People worry about scams where they might lose their money if they pay to join an extra income opportunity or home business opportunity that requires a start up fee, and they end up not making any money. Well, it’s easy not to risk losing any money. Avoid those methods of making money from home, or at least do not try them until you can afford to part with your money, just in case the methods “do not work.” Rather try one or more of 10 ways to make money that cost nothing to start. Why did I put “do not work” in inverted commas? Well, while there are certainly a good few scams around, many people who simply do not put in the learning and work required to make money, may call a good opportunity a scam, just because they didn’t make any money and ended up losing some money instead. Whereas if they had put in the learning and work required, and had made money due to their effort, they wouldn’t have called the opportunity a scam. Even ways to make money at home for free won’t make you much money or sometimes even any money at all unless you are prepared to learn and work hard. Join Upwork, an online freelance job site. 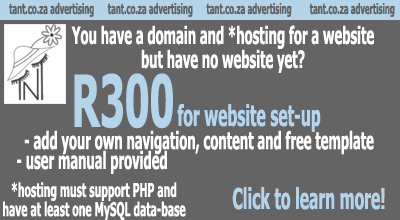 Work as a freelancer for clients all over the world, right from the comfort of your own home in South Africa. Join HubPages – HubPages is an online writing site with a fantastic community of writers – you will not make too much, especially at first, but the potential to make a fair amount of money on HubPages exists, especially if you write many articles (or “hubs”) for HubPages, and if you make a bit of an effort at being involved in the community – not just to make new friends, but to also draw attention to your own articles. Be sure to first become familiar with the rules and terms and conditions of any site you join. Get a free Blogger (blogspot.com) blog and make money as a blogger! Sell your designs or photos online – there are sites that allow you free space for presenting your designs or photos on their sites, and if buyers visiting the site like your designs or photos (and buy them), you make money. Make money teaching somebody something. There is bound to be something you can do that some other adults – or children – can’t. Teach people how to do something for a fee. You can give classes to a group of 4 to 10 people, or you may opt to teach just one person at a time. Up to you. Make money from seeds – collect them from your garden or the gardens of friends, or keep pips from certain fruits. Sell packets of seeds, plant the seeds and sell the seedlings, wait a little longer and sell bigger plants, or flowers, fresh herbs, fruit or vegetables. Offer a service from home. Hang a homemade sign on your front wall, or stick up a small simple poster there or on the community notice board wall at the local Spar, or drop handwritten leaflets in people’s post boxes, and tell them about the services you offer from home. Flea Market: Sell items you made using materials you already had lying around at home, or sell fruit, veggies, herbs, plants, flowers from your own garden – or that you have even grown indoors in pots. Yes a flea market costs because you have to pay for a flea market stand, but perhaps a friend would like to share the flea market stand with you and sell something too – you can pay your friend back half of the cost of the stand at the end of the day when you have made some money selling your items. Rent out a room in your house – whether the room is for somebody to sleep in, or to temporarily store somebody’s belongings in. So there you have it: 10 Ways to make money that cost nothing to start. So what’s your next step? Well, you can learn more about each of the ten opportunities above, and then try one of them, or even all of them. What’s missing from the plan above? Well, if nobody knows about you and your services or products, or about your free Blogger blog you’re writing articles for, or that you have articles on Constant Content or on HubPages or that you have designs or photos for sale on some sites, are you really hoping that potential buyers, clients, or visitors to the pages of your articles are just going to start lining up? especially if using free methods of advertising (57 free ways to advertise). Advertising has to be done, though. Without many people knowing about what you do, you’re not going to make much money. The more people that know about you, the more money you are likely to make. There really are very many ways one can make money that cost nothing to start! Good luck and have fun with your earning adventures! Online Surveys for Money – Why are there Paid Online Surveys? Hi Ekoh – one idea would be to make craft items with things that don’t cost any money – twigs, cut up branches, pebbles, scrap wood pieces, scrap metal pieces, scrap plastic, etc etc – and then take photos if possible and then advertise the items for example on a Facebook page – invite lots of Facebook friends to like the page – if you don’t have lots of Facebook friends then work at increasing that first. You can also get people who are not on your Facebook friends list to maybe come view your page by doing some liking, commenting on, sharing of, other people’s posts in groups and pages on Facebook – genuine comments – not “come look at my page”. If your craft items look good, if lots of people see the photos and read the descriptions of the items etc, and if the prices are good, some people will order / buy the items. Please re-read the article on this page. I’m not sure what you mean by “How can I join any of the team where I will make money from nothing” – what team? The article on this page doesn’t talk about teams – the article on this page talks about ways to make money that cost nothing to start. That said, however, for example if you want to do freelance work online then go join the site I mention in point no.1 – I have changed the name now to Upwork, not oDesk, because they changed their name from oDesk to Upwork, but if you googled oDesk, you’d still get this new name Upwork in the search results on Google and then can click through to go join the site, for free, set up your profile, and then start applying for freelance jobs. Making money in ways that costs nothing to start means you don’t have to pay anything (other than your Internet connection for the online ones) but one still has to work – nowhere can one earn money for nothing at all (no work) – even winning the lottery first requires going into a shop to buy a ticket.